Fresno and Madera Counties' UC CalFresh Nutrition Education Program has a long-standing partnership with the Fresno State Dietetic Internship Program. This blog post is part of our Intern Reflections Series. Over my two weeks with UC Cal Fresh, I was able to observe many different teaching styles, lessons, and how to engage and respond to participants. 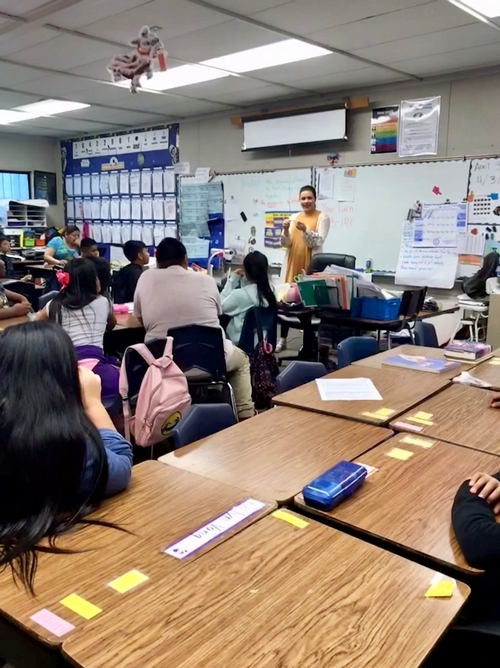 Having the opportunity to travel to different schools and adult programs, including Ayer and Viking Elementary Schools, the VA Hospital, and Jobs and Beyond, gave me a better understanding of the populations that UC CalFresh serves. I was able to see how the lessons progress in what the children are taught from kindergarten through 5th grade and how much information they receive. The books used for the lessons were great. I was able to see that the kids really learn from them and enjoy listening. 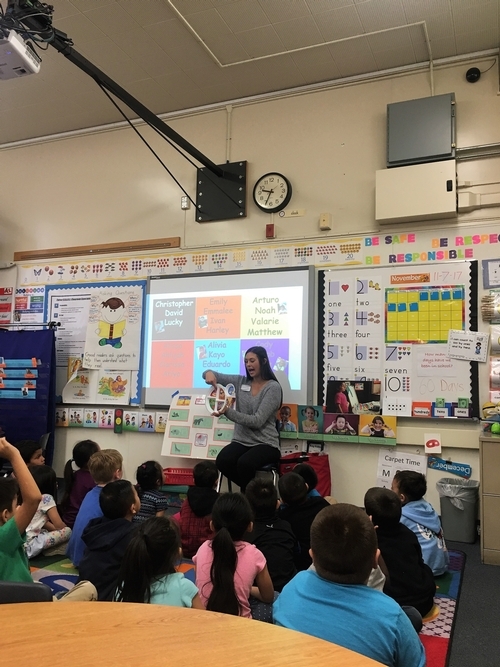 From all of the lessons and classes I observed in the elementary schools, the repetition of the lesson theme really kept the children engaged. I also really enjoyed teaching the class of 5th graders about MyPlate and playing breakfast bingo to discuss the importance of a healthy breakfast. Throughout my education, I have not had much opportunity to work with children, so this rotation has helped give me that experience. With the lessons I have observed, assisted with, and taught I have noticed that it can be challenging to keep the participants engaged and on task. In regard to the adult classes, I really learned how to address questions that I do not have an answer for and how some recommendations can be based on personal preferences. I really liked that with the adult classes, it is emphasized that they are learning recommendations and that it is up to them to choose what they listen to and practice in their life. This is something that I have learned about in school, and it was great to hear it talked about in classes. While assisting with the adult classes, I was able to help answer questions and this was fun because I didn't have much opportunity for this with the youth classes. 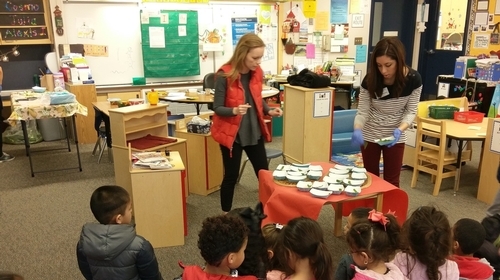 UC CalFresh coordinator Hannah and Cassie serve a radish, cilantro, and spinach tasting to a transitional kindergarten class - picked fresh from their own garden! Finally, I really enjoyed being a part of the garden harvest and tasting event at Ayer Elementary. Because of this program, these children are being exposed to the opportunity to grow food and try what they have grown. That is such a great experience for these children. I have learned and realized how much education is done with UC Cal Fresh and how important this work is. 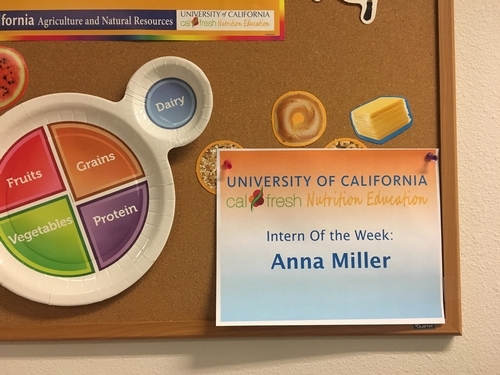 So far in my internship, I have mainly been at community-based rotations, and I have found that I really enjoy community outreach and nutrition education. This rotation has made me realize that even more. These past two weeks have gone by too quickly, and I have enjoyed all of it. 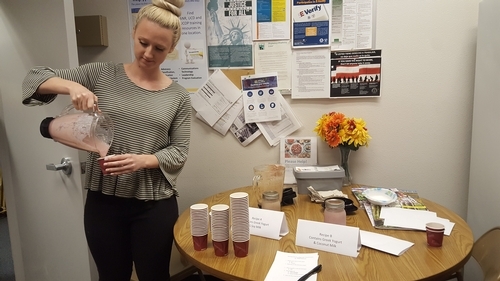 When I first arrived at UCCE I observed a new teacher practice session in the conference room. 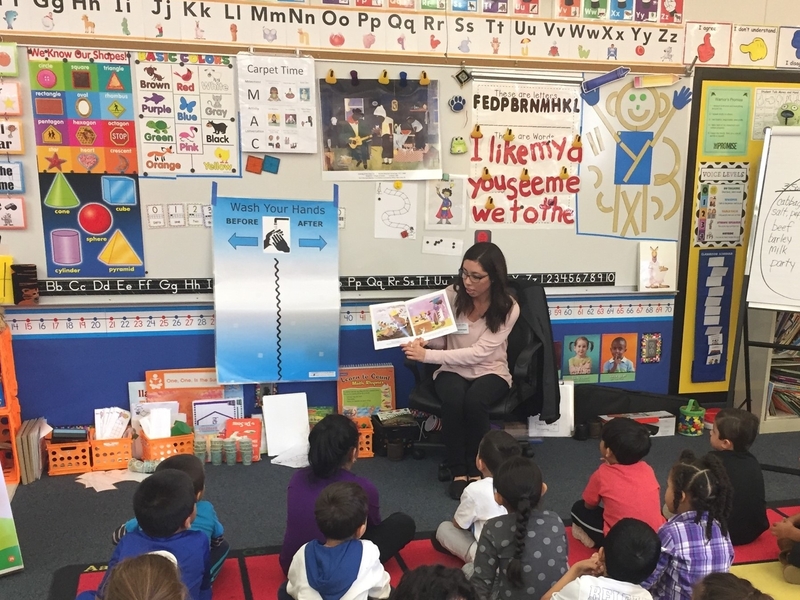 Everyone pretended to be first graders as a new employee read a book and taught the MyPlate introduction. They gave her tips at the end of her lesson on ways to be more effective. I thought it was a great way to offer constructive criticism and ensure that new employees are getting the hang of things. On Wednesday, I traveled with Tacu to Jobs and Beyond and observed a nutrition class and cooking demo. Tacu is an excellent presenter and I really enjoyed watching him teach! He did a great job of encouraging the class to participate and be active in what they were learning. At the end, he made a veggie quesadilla for everyone to try and it tasted great! I got to teach the PA lesson at the end. 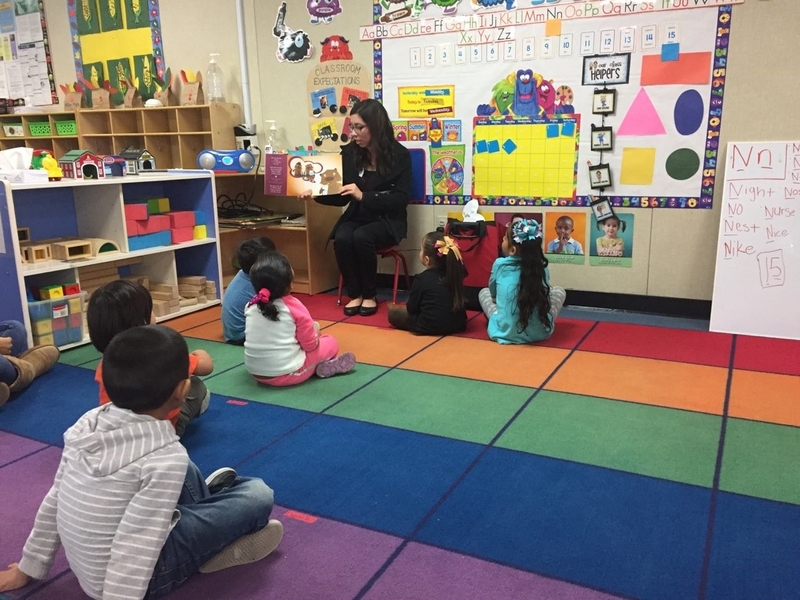 On Thursday, I traveled with Evelyn and Ruth to Firebaugh to observe and help teach K-2nd grade classes. Evelyn is a great educator and makes learning so fun for the kids! 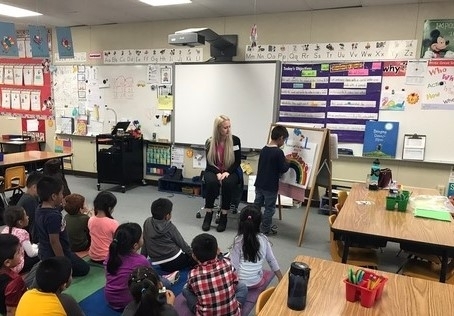 I co-taught a kindergarten class with Ruth and we introduced the MyPlate to the kids and did a MyPlate puzzle activity where the kids got to actively participate in creating the MyPlate. It was a ton of fun. I also got to help with a lesson that used a very large MyPlate mat. On Friday, I traveled to Jobs and Beyond again and observed Austin and Sergio teach a nutrition lesson and do a cooking demo of an apple chicken salad. I led the spice activity and it was such a blast having everyone guess what they thought the spices were! Later in the day I completed my Nutrition Corner poster. This week has been very fun. I spent the whole day with Chris on Tuesday teaching nutrition classes at Viking Elementary. I led a few different activities including food bingo for the special ed class. In the middle of the lesson, a student found a beetle on the floor and it caused a scene. 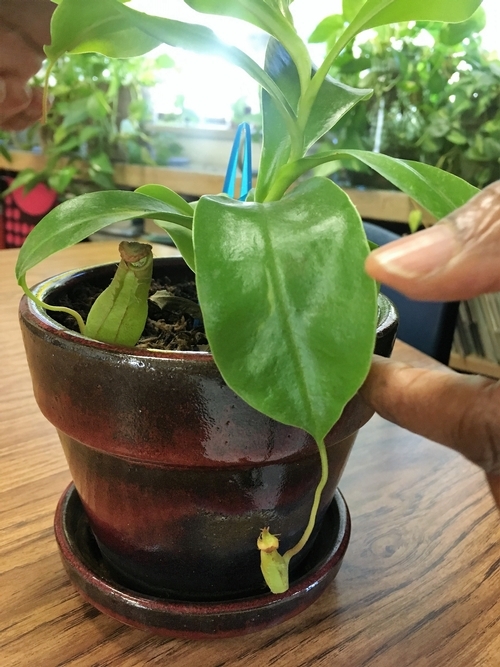 Turns out, the teacher is a master gardener and happened to have two Venus fly trap plants in the classroom. She kept the beetle to feed to the plant! The venus fly trap plant! Most of Wednesday was spent with Mishelle at Hamilton Elementary teaching pre-K up to 4th grade. Teacher Mishelle talking to the kiddos about My Plate! On Thursday I helped Nora and Yolanda at the Turkey Trot for Hamilton Elementary school. We passed out mango & mint infused water and had props on display to show students and parents how much sugar is in soda and other drinks. It was so much fun! Ready to serve kids infused water! The biggest thing that I've learned so far from UCCE is how easy and fun teaching children can be. The kids classes are such a blast and I really love how high energy they are. I often get nervous public speaking or doing education lessons, but I haven't been nervous with the kids at all. I've also been surprised at how quickly children pick up and retain information. Chris and I went into a classroom that he had taught once the previous year. The children remembered almost everything with just a little prompting! I was so impressed. Overall this has been a great two weeks going out to the community and teaching nutrition. I've been reminded how vital nutrition education is and why it is needed so badly in the community. Thanks UCCE for having me! UC CalFresh has an immense impact on the well being of local communities and is a valuable resource to in the Central Valley of California. 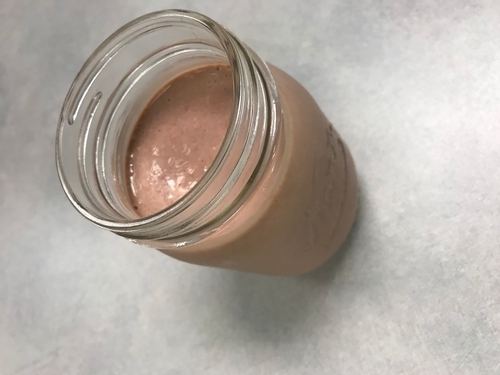 My two week rotation offered many hands-on learning experiences that deepened my appreciation for and enhanced my skill set in nutrition education. All UC CalFresh staff members were incredibly friendly and their passion and enthusiasm when teaching at different facilities was inspiring. The impact they are making on their audience was apparent and it was wonderful to be part of it. One of the classes I got to teach was a Jobs and Beyond class for adults. The curriculum focuses on educating participants on skill sets that can aid them in their personal and professional life. It was interesting to interact and listen to the participants' input. It allowed me to have a better understanding of their situation and how to keep the material relevant to them. At the end of the class, they were very appreciative of our time spent with them. It felt fulfilling knowing that we had made a positive impact on them. Prior to this rotation, I had limited experience educating small children. However, the fun and engaging lesson materials provided by UC CalFresh made it easy to adapt and teach to various grade levels. The fun songs used by the staff are perfect to educate young children about the importance of fruits, vegetables, whole grains, protein and dairy in their diet. We also had a lot of fun playing games that encouraged physical activity. With lots of giggles and laughter, the kids got to learn about the importance of a healthy diet in their lives. When not traveling to different school or community sites to provide education, there is plenty of opportunity for creativity at UC CalFresh. 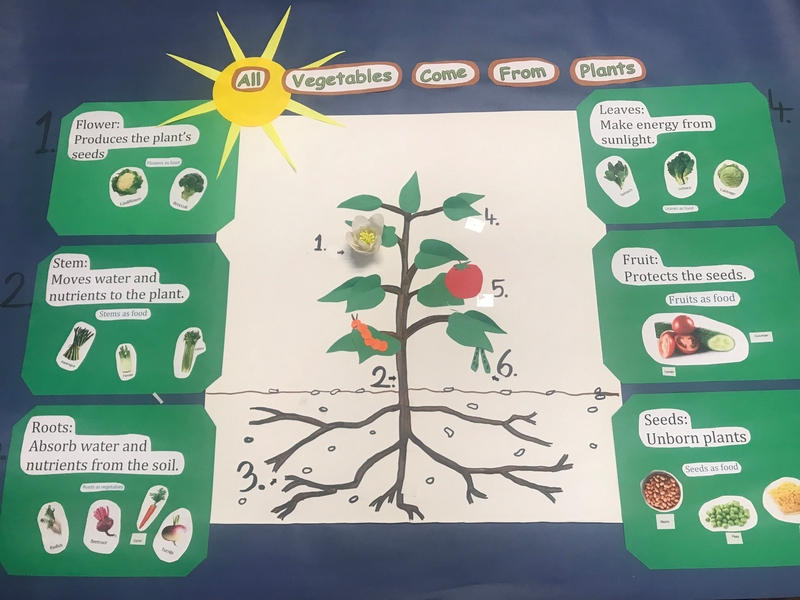 I created a poster board with the key message of “All Vegetables Come From Plants” to help educate children about where our vegetables come from and to better understand the anatomy of plants. The poster board will be displayed at a local school site. My favorite experience was a Jog-a-thon event at a local elementary school. 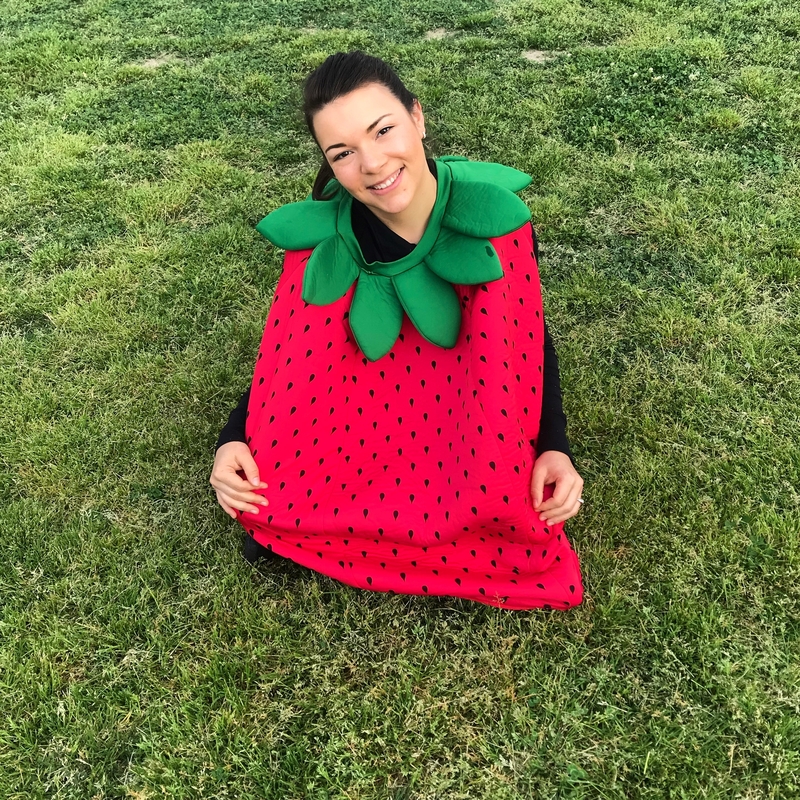 I love being silly, so when I found out I get to dress up as a strawberry and exercise with the kids I was immediately got excited. As you could imagine, a running strawberry was very entertaining for the kids and motivated them to keep going. 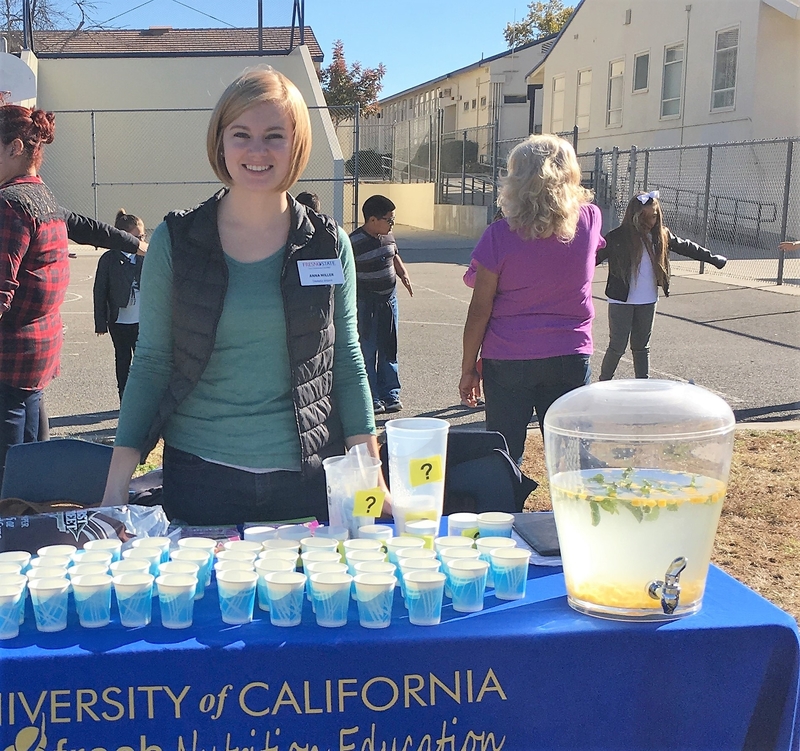 There is nothing better than having fun while promoting healthier lifestyle choices and at UC CalFresh that is the focus! During my time at UC CalFresh, I was exposed to a stimulating variety of opportunities. I taught classes ranging from pre-kindergarten to adults, all of which I really enjoyed! 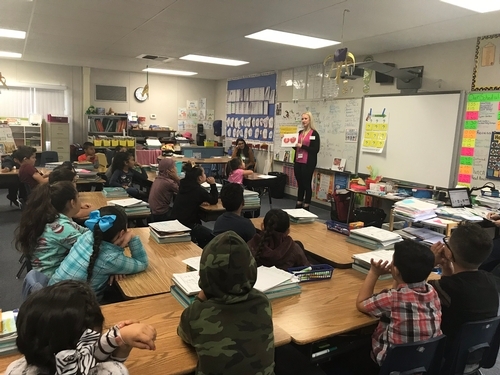 I loved watching the kids eager to learn about MyPlate and physical activity and the adults asking questions on how to make their families healthier. 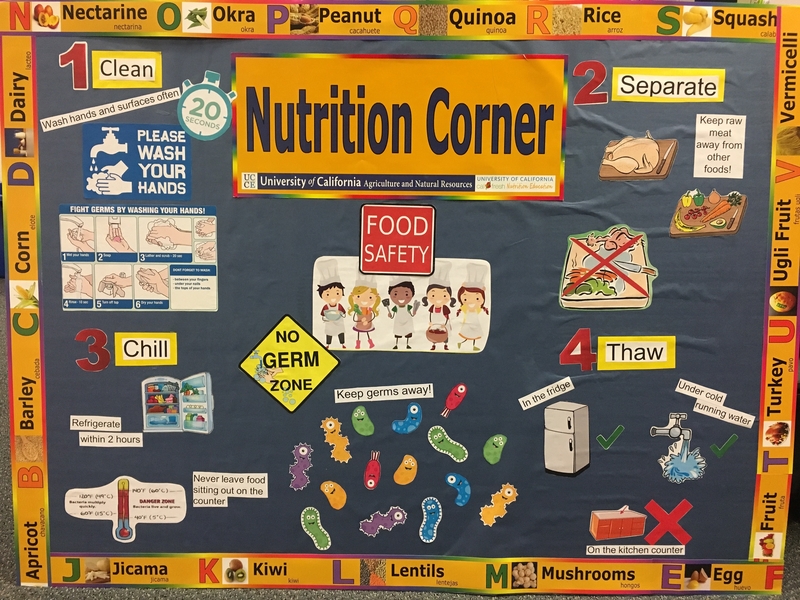 I was also extremely impressed by the UC CalFresh staff; their passion for nutrition and health education radiated inside and out of the classrooms. These pictures are from a few of the classes I taught at Bailey Elementary in Firebaugh. The kindergarteners in the picture above loved learning about fruits and vegetables. I read them a book about buying different fruits and vegetables at the market and then we played the Colors of the Rainbow game where they put their assigned fruit on the rainbow according to its color. The picture below is from a second grade class at Bailey Elementary. 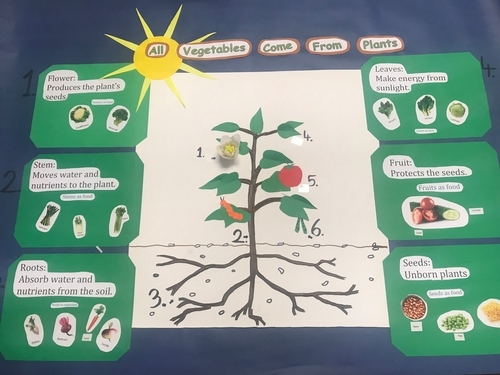 We had a fun, interactive lesson where I taught them about different vegetables and then we played the Mystery Vegetable game after. I was also able to co-teach and conduct food demonstrations at two classes for the Jobs and Beyond program. These individuals all had families to take care of and were truly invested in the lessons. I was encouraged by how many questions they all had and I was eager to answer them all. We discussed how to save time and money when cooking healthy meals for their families. The pictures below are from my moringa project. I created two different smoothie recipes that contained moringa, then the staff taste tested and provided feedback on their favorite version. This was a really fun project and forced me to get creative with the recipes. 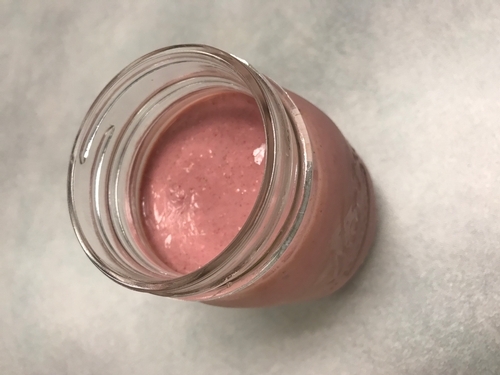 I have never created a recipe from scratch, so this was a great learning opportunity for me! Overall, I had a very pleasant experience during my two weeks at UC Cooperative Extension with the CalFresh program. This rotation forced me to go outside of my comfort zone, and I ended up enjoying everything I did! These last two weeks have exposed me to the importance of community nutrition and have left me with an eager drive to potentially work in community nutrition once I become a registered dietitian. Thank you to all of the staff who warmly welcomed me into their office and for showing me how health educators can make a huge difference in the community. 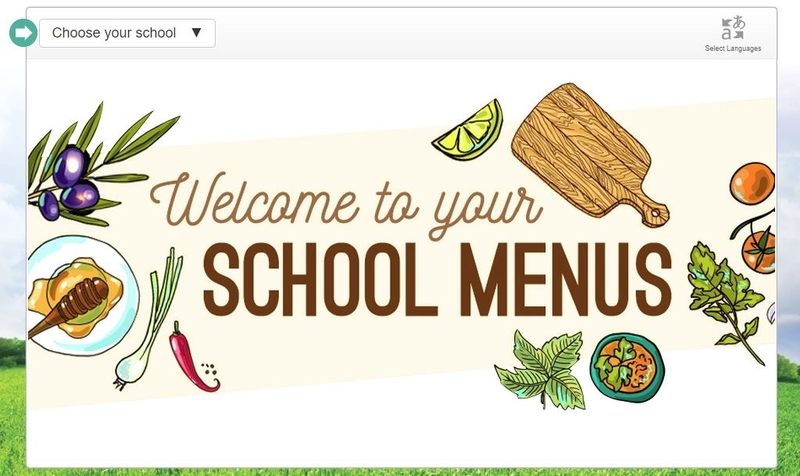 Check out Fresno Unified's new meal app! 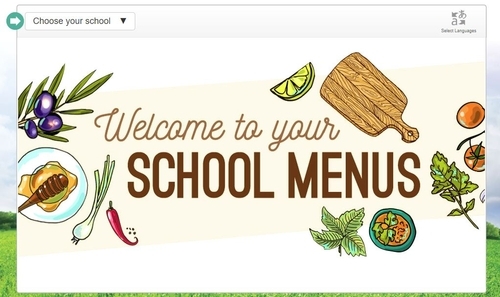 Fresno Unified's food service department has made it easier for parents and students to stay up to date with the district's latest meal and snack offerings. 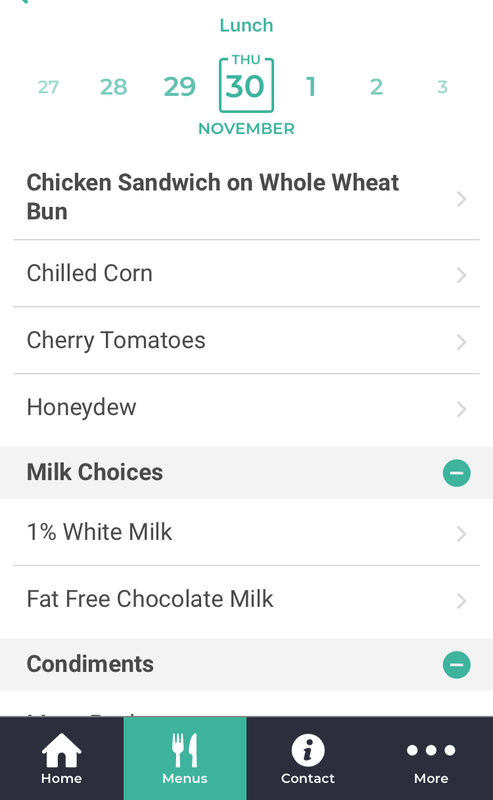 FUSD recently launched Nutrislice, a website and app that allows users to select their child's school and view all the snacks and meals that are provided for the current and upcoming month. Click here to view web version or download the app for your Apple or Android device. Families can check out everything on the menu for a given day. 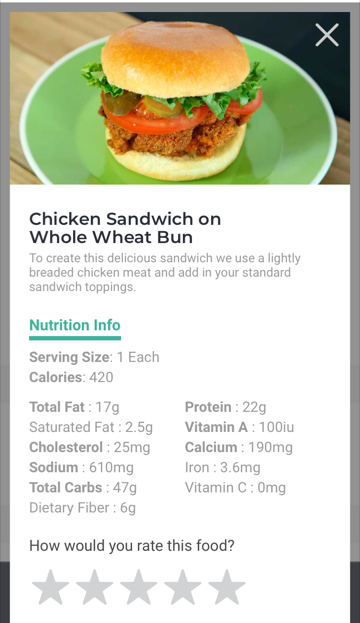 Parents can not only view pictures and Nutrition Facts. Parent and student feedback can be entered as a rating or comment. This is a great new resource to provide input from you or your child and stay informed on what's being offered every day, from breakfast to after school snacks. Check it out!